Homeopathic remedies can successfully treat a person with tetanus without the need for any vaccinations or antibiotics. Contact us to learn more! Learn about Homeoprophylaxis to prevent tetanus and other contagious diseases! 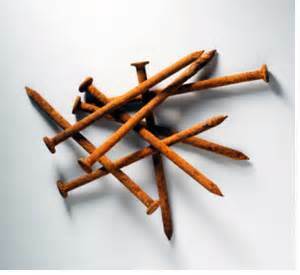 Tetanus lives in soil, and therefore person's with dog or cat bites need a tetanus shot because the animals have dirt in their mouths. The microorganism is causing the tetanus disease is the bacteria Clostridium Tetani. The bacteria itself is harmless on its own, but releases toxin in the body and affects the nervous system. Below are some of the most commonly used remedies used to treat tetanus symptoms. Ledum is the first choice for preventing tetanus (and Lyme Disease) as a prophylactic (prevention). We suggest using a 30C or 200C potency of Ledum with water dosing at the time of the injury, scrape, bite, etc. and give 3 doses, 3 times a day for 3 days. Homeoprophylaxis (HP) protection without immunizations is obtained with tetanus nosode dosing. Homeoprophylaxis has a 90% effectiveness rating in 15 years of clinical use. Contact us to learn more about HP protection instead of dangerous vaccinations. Tetanus with attempt to commit suicide by hanging. Spasms with frightful contortions of the limbs. Pronounced septicemia. Fear, anxiety, tension of muscles, tingling and numbness. In tetanus, traumatic or otherwise, when there is spasmodic twitching or jerking of muscles – catalepsy, with body bent backward. Convulsions. Twitching and jerking along the back, like electric shocks. Tetanus of infants; twitchings; sudden startings; dilated pupils; staring eyes; severe convulsions; rigidity of throat muscles; opisthotonos. Is indicated in tetanic convulsions with showing of the teeth from drawing up of the corner of the mouth. Deathly coldness. In sudden rigidity with jerking; violent dis­tortion, followed by utter prostration, tonic spasms renewed by touch. Great oppression of breathing, lock-jaw, face dark red, froth at the mouth, opisthotonos, loss of consciousness. In suppurating wounds or when the discharge of pus is stopped. Spasms with loss of consciousness which may be due to traumatism or to injury from sharp weapons. Paleness of face, contraction of the jaw, frothing of the mouth, jerking of the limbs and severe opisthotonos. In persistent tonic spasms, especially of the muscles of face, jaws and back, embarrassed respiration with lividity and frothing of the mouth. Firm rigidity of the limbs and body and is bent backward. With excruciating pains in the wounds. It should be given as a prophylactic in newly born children whose navels present unhealthiness. In lock jaw and spasms of the larynx with blueness from asphyxia and the person sleeps into the paroxysm. Tetanic convulsions with opisthotonos, distortion of eyes, of face, with dyspnea. Renewal of spasms by slightest touch, light or noise. It should be especially thought of when the consciousness is retained. Specific for tetanus. It should be given in ten drop doses of mother tincture. It has extreme rigidity of the muscles of the neck and shoulders with difficulty in swallowing. Peculiar sardonic smile and cry. Tetanic convulsions, Locomotor Ataxia. Numbness in paralyzed parts, cramping pains in limbs. Fibrillary tremors. In suppurating wound or when discharge of pus has ceased. Tetanic convulsions worse from touch and light. Mind confused with mania. Convulsion with constriction of the chest. It may be tried when Nux Vomica fails. Lock jaw with spasms of the glottis, constriction of the chest amounting almost to suffocation. The hands and feet are drawn inwards and the pupils are contracted. Here convulsions are secondary to an exhausting disease whereas in Stry­chnia they are primary.